Rosen’s has put their own spin on a millennial favorite: avocado toast. Their open-face bagel sandwich includes avocado with radish, pomegranate, lemon, thyme, and oregano. Stay Weird, Stay Schmear’d with Rosen’s Bagel Co.
Rosen’s Bagel Co. attempts to break into the Austin bakery scene at chill coffee and bar location Wright Bro’s Brew and Brew. Austin does not shy away from artisanal baked goods. Bakeries like Easy Tiger and Quack’s have found success with their fluffy pastries and savory loaves of bread. There is, however, a bagel-sized hole missing around town. In central Austin, the only bagel offerings are the chain Einstein Bros. and Rockstar Bagels. Rosen’s Bagels Co. is here to fix that and put a smile on the morning commuter’s face as they indulge in New York style bagels. Rosen’s also offers a variety of house-made schmears, from maple syrup almond to caramelized shallot and bacon. The quirky tagline, “Stay Schmeard, Austin” is now easy to do. Although they don’t have a brick and mortar location, Rosen’s Bagel’s partners with Wright Bro’s Brew and Brew and sell daily until sold out. 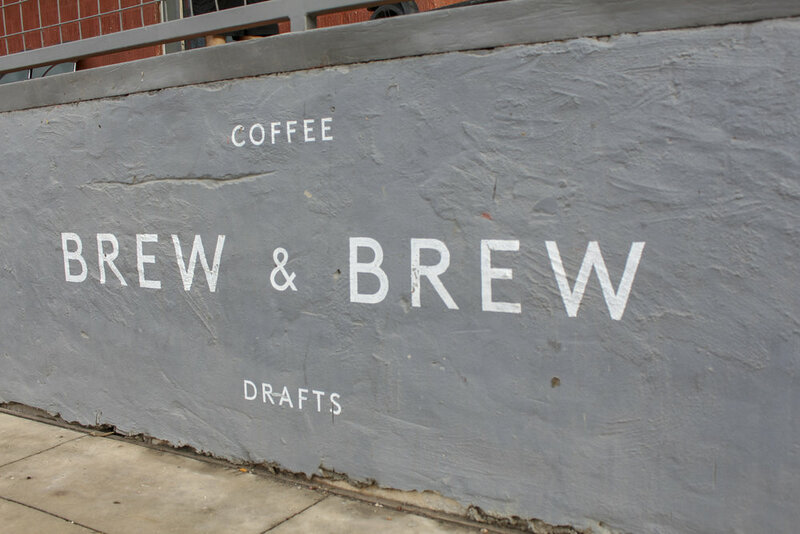 Customers can enjoy a slow morning with coffee and a bagel on the industrial stage of Brew and Brew. Rosen’s fills a hole missing in the bagel market in Austin, with the only other option being the chain store, Einstein’s Bagels. Bagels are made by boiling them in water, making it difficult to maintain the full flavor throughout the process. Rosen’s Bagel Co. boasts original, handcrafted style bagels such as everything, poppy seed, sesame seed, and rosemary sea salt. Their bagels stay dense, flavorful and seasoned to perfection. Even better is their selection of house-made schmears like the caramelized shallot and bacon, lime, poblano, and scallion, blueberry, basil and lemon, and maple syrup almond. Rosen’s also sells pre-made bagel sandwiches with vegetarian options available. Bagel sandwiches are creative and trendy, even toasting to the millennial obsession of avocados. Their spin includes a toasted bagel with avocado, radish, pomegranates, lemon, thyme, and oregano. Traditional bagel lovers cheer for their Lox Bagel, cured in-house and topped with basil, lemon, caper-dill, and pickled onion. Rosen’s sells daily from Brew & Brew, however the best picks can be found in the morning before they run out. Rosen’s Bagel Co. shows off their creations on Instagram so well it’s almost possible to smell the bagels fresh out of the oven. Customers are encouraged to create their best bagel with add-on’s available. Prices are affordable, ranging from $5-$12. Limited options are also sold at Cosmic Coffee Bar. Pop over to Wright Bro’s Brew and Brew, grab a coffee and a bagel, and take a minute to enjoy the skyline view from the outside patio. Be sure to go early for best offerings!